While putting the finishing touches to this edition of “This Week” I was watching the Chicago Bear – Minnesota Vikings game. In the third quarter, the Bears observed one of their home field traditions of stopping the game to honor and recognize a member of the U.S. military. The Bears are the only team in the NFL that has this tradition. This is quite an emotional week in SigEp Patriot history. Eight years ago today, Nashville native TX Rho Brother Lieutenant Colonel Kim S. Orlando, U.S. Army was killed in action in Karbala, Iraq. Earlier this week, it was learned that another son of Tennessee made the ultimate sacrifice when TN Eta Brother Captain Joshua S. Lawrence, U.S. Army was killed in Kandahar, Afghanistan. Our heartfelt condolences to all the families, friends and Brothers who have lost loved ones. It is because of these and other Brothers that the SigEp Patriots Project (SPP) was formed – to honor and recognize the accomplishments and sacrifices of Brothers who serve/served our great nation in the U.S. military and insure they are always remembered. SPP welcomes partnerships in this effort with Richmond as well as representatives from individual chapters. World War I Veteran and Ace, NY Beta Brother Major James Armand Meissner, U.S. Army had his sixth aerial victory / “kill” on this date over Bantheville, France in a SPAD XIII aircraft. World War II Veteran NE Alpha Brother Colonel Addis Thompson “Tad” Ward, U.S. Army / U.S. Army Reserve (Retired) was born on this date. Vietnam War Veteran TN Alpha Brother Major Selman “Sam” L. Bass, U.S. Army (Retired) was born on this date in Madison College, Tennessee. 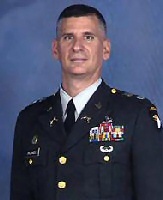 Kosovo and Operation IRAQI FREEDOM Veteran FL Epsilon Brother Colonel William Wesley Wood, U.S. Army was born on 12 OCT 1961 in Lubbock, Texas where his father was serving in the Air Force. U.S. Army World War II Veteran OH Zeta Brother Edwin Minar passed away on this date. Edwin was a member of Sigma Phi Epsilon and served in the U.S. Army from 1945 to 1947. Edwin was working for First Security Title in Akron and belonged to Toastmasters, Home Builders Inc., and the Akron Area Board of Realtors. Persian Gulf War and Operation IRAQI FREEDOM Veteran TX Rho Brother LTC Kim S. Orlando, U.S. Army was killed in action on this date in Karbala, Iraq. He was 43 years old. While serving as the commanding officer of the 716th Military Police Battalion, 101st Airborne Division (Air Assault), based in Fort Campbell, KY, Brother Orlando was killed while attempting to negotiate with armed men who were congregating on a road near a mosque after curfew. An active leader, he never hesitated to lead his Soldiers personally, whether on a three-mile run in below-freezing temperatures or on a patrol in the streets of Karbala. The battalion comprised no fewer than 400 soldiers, and Kim made it a point to learn the name of each one, said Sergeant Major Rodney Smith, a battalion member. “For a battalion commander to know your name, that touches anybody,” Smith said. At the time of his death, Kim was the highest-ranking Army officer killed in hostile fire in Iraq. He enlisted in the Army as a military policeman in 1982 and was commissioned at Fort Benning, GA in 1986. Kim served in the 1991 Persian Gulf War, and thereafter rose quickly to the rank of lieutenant colonel. He was picked to study at the FBI’s National Academy in Quantico, VA – an exclusive honor for military policemen. Brother Orlando was laid to rest at the Nashville National Cemetery in Nashville, Tennessee where he grew up. World War II and Korean War Veteran MO Alpha Brother Thomas E. Birchfield, U.S. Army Air Corps / Air Force passed away on this date. Brother Birchfield was born in Galveston, Texas, and attended the University of Missouri and Washington University at St. Louis graduating with a degree in Businesses Administration. He was an Air Force Officer in both World War II and the Korean War. Thomas worked for IBM for thirty-five years finishing his career as Director of Commercial and Industry Relations for IBMs Asia Pacific Group located in Tokyo. During his career with IBM he visited some thirty countries on business related matters. He was active in many social and civic organizations; a member of the Orleans Yacht Club, a past President of the Nauset Heights Association, Treasurer of the Nauset Newcomers Club, past President of the New Canaan Swim Club and served on the boards of various other organizations throughout the United States. He was also the recipient of the Sigma Phi Epsilon Scholarship award in his senior year in college. * Operation ENDURING FREEDOM Veteran IL Eta Brother Sergeant Zach Deets, U.S. Army is now back in the States following a successful tour in Afghanistan! - Operation ENDURING FREEDOM and IRAQI FREEDOM Veteran, IN Alpha Brother First Lieutenant Ryan McKenna, U.S. Army and Operation ENDURING FREEDOM Veteran FL Iota Brother Lance Corporal Yoni Haim, U.S. Marine Corps. Welcome Home Brothers! * Congratulations to LA Alpha Brother Captain Robert Doss, U.S. Marine Corps on his wedding last weekend. All the best to Robert and Kathryn! * MO Mu Brother James Moyes is serving overseas in support of the Global War on Terrorism (GWOT) and had a birthday on Monday. If you would like to send Brother Moyes a care package send an email to sigepswhoserve@gmail.com. * Best of luck to Operation IRAQI FREEDOM Veteran IN Zeta Brother Lieutenant Troy Hanson, U.S. Navy Reserve on his mobilization to active duty and deployment in support of GWOT. * The SPP Official Facebook Group – SigEps Who Serve (SWS – http://www.facebook.com/groups/sigepswhoserve) – now numbers 346, and we would like to wish a sincere welcome to the eight new group members!